‘Barclay’ is a modern, elegant and luxurious engagement ring designed to suit contemporary style and tastes. 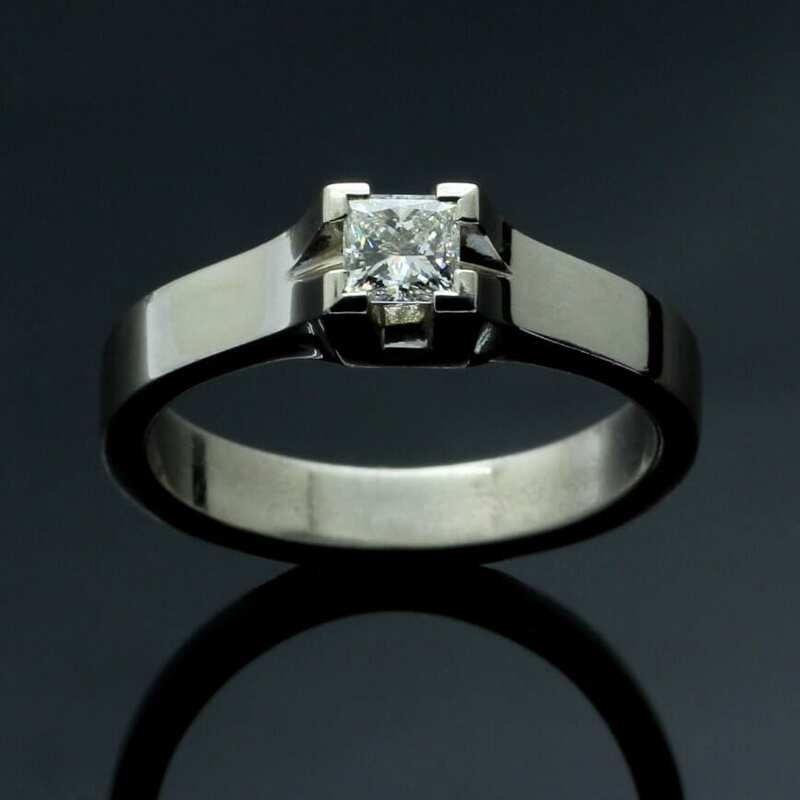 This stunning, chic engagement ring is an exclusive design by Julian Stephens Goldsmith and is handcrafted in solid Palladium, set with a dazzling 0.4ct Princess cut Diamond. This beautiful Diamond and Palladium engagement ring is finished with a high shine polished effect for added sparkles and includes Julian Stephens exclusive Maker’s Mark in addition to being Hallmarked.